Should you have the Certification Lab visit you for the Evaluation/Testing? standard by an ISO17025 accredited calibration lab? (variable auto-transformer) or power source. have both 50 & 60 Hz power available). www.productsafeT.com for assistance with safety test equipment. Size of equipment – too big for the lab to move or assemble? 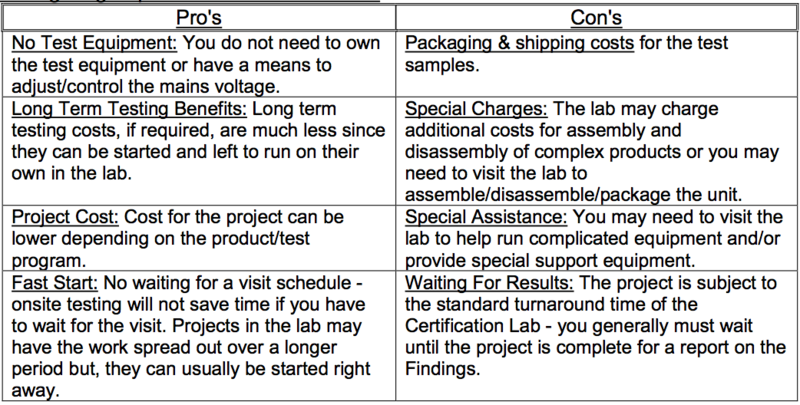 Special voltage and/or high power needs – does the lab have the power/power control? Testing Large/Special Products at the Lab: Sometimes it still makes sense to test at the lab.